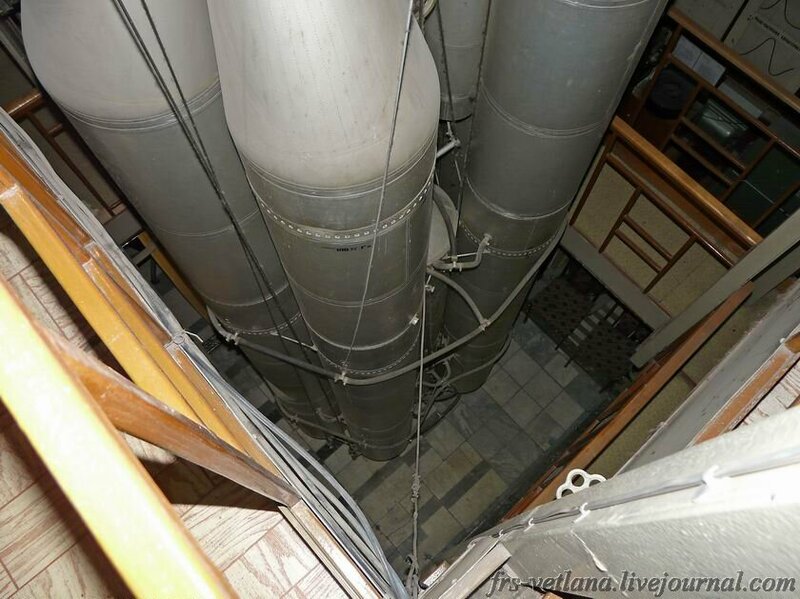 The rubber hoses were used to fill it with water, for when it was suspended, and given the vibration tests. It was also suggested that alcohol would be the correct liquid to use, instead of water. The second tube from the left is block B, and labeled in red with the Russian letter B. Second stage. This is described as a “tank farm”, showing the connections between the second and third stages. 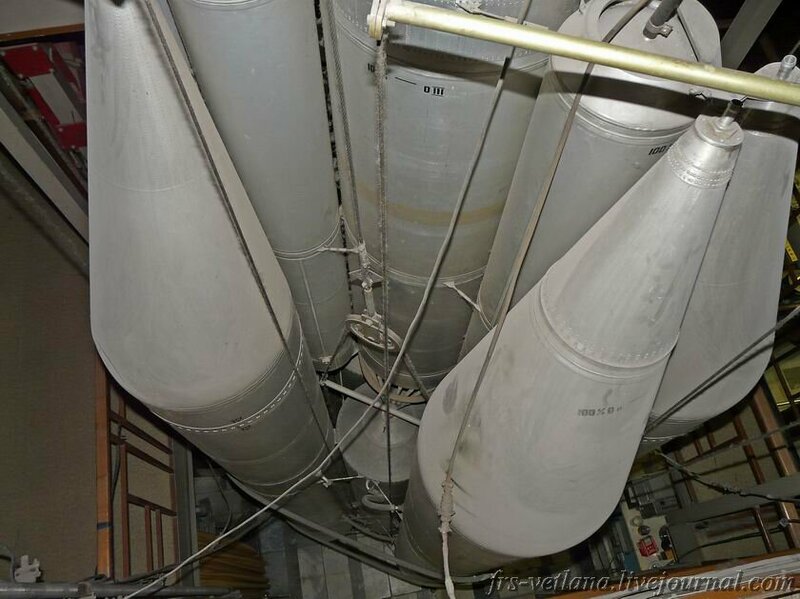 I’m particularly interested in the fan of rods, I have never seen such a structure on a rocket before. I think the white assembly at the top of the next picture must be the mechanism to shake everything foor the test. In fact, the fuel tanks in the side components and the central units are the same. 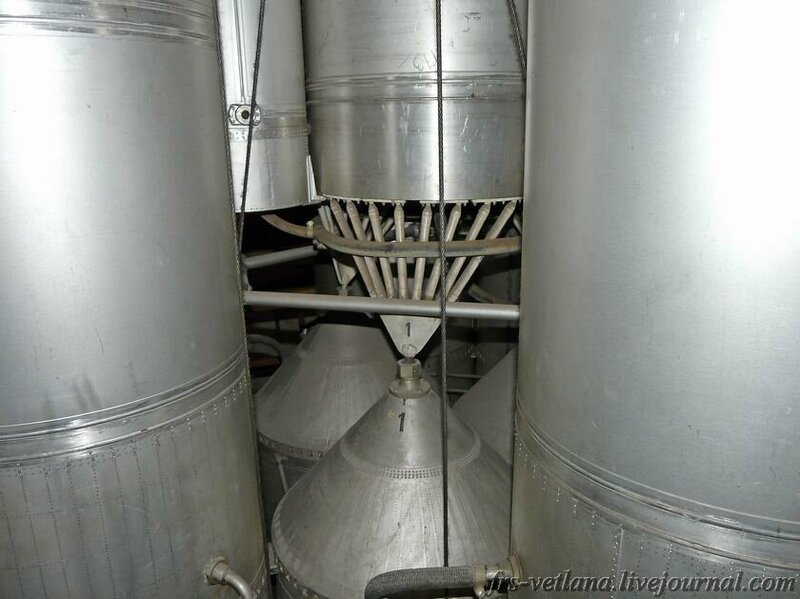 It is seen that the maximum filling level of the fuel of the first and second stages (100% T 100% and II T I) are flush. 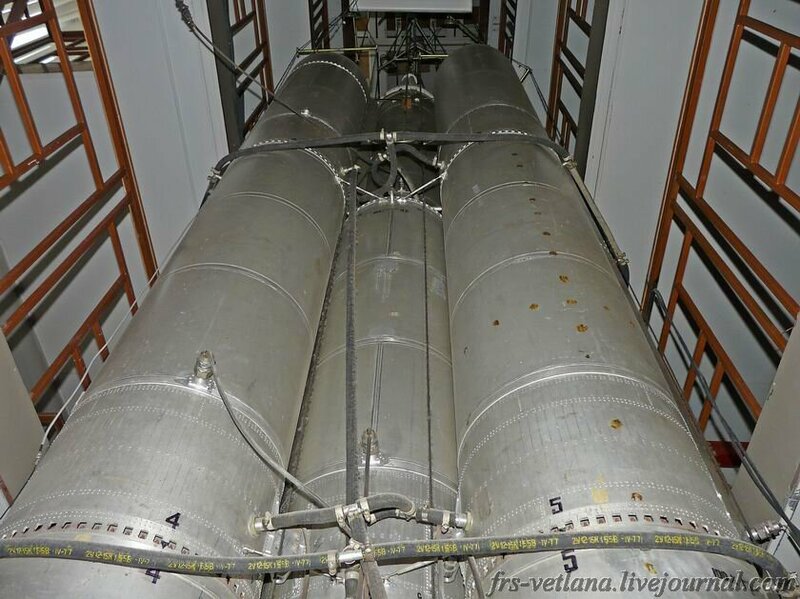 Above the oxidizer and fuel tanks of the first stage oxidizer tanks are installed, (at the three side blocks), and the fuel, (also three blocks) used in the engines of the second stage. 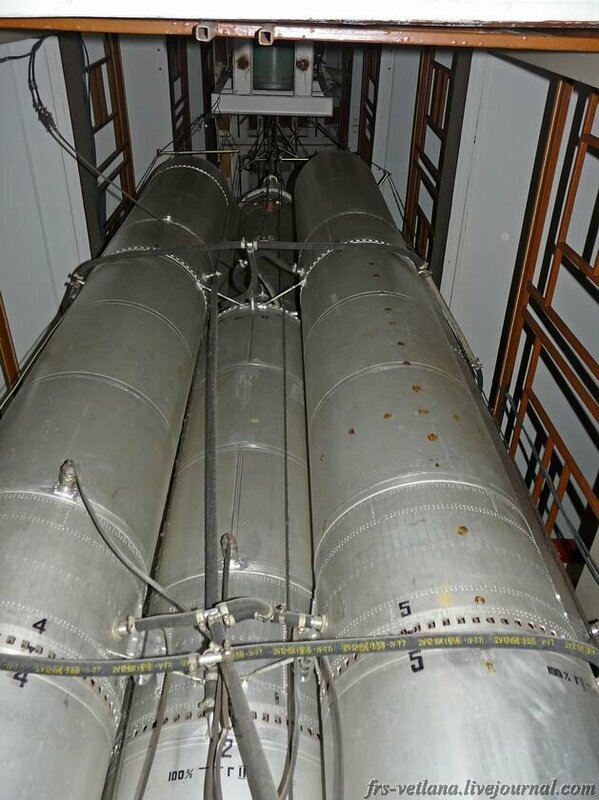 Thus, the rocket consists of identical rocket units, which are designed so that they are collected and tested, and can be transported by rail from the factory to the launch site. At launch the first and second stage engines start siimultaneously start simultaneously. 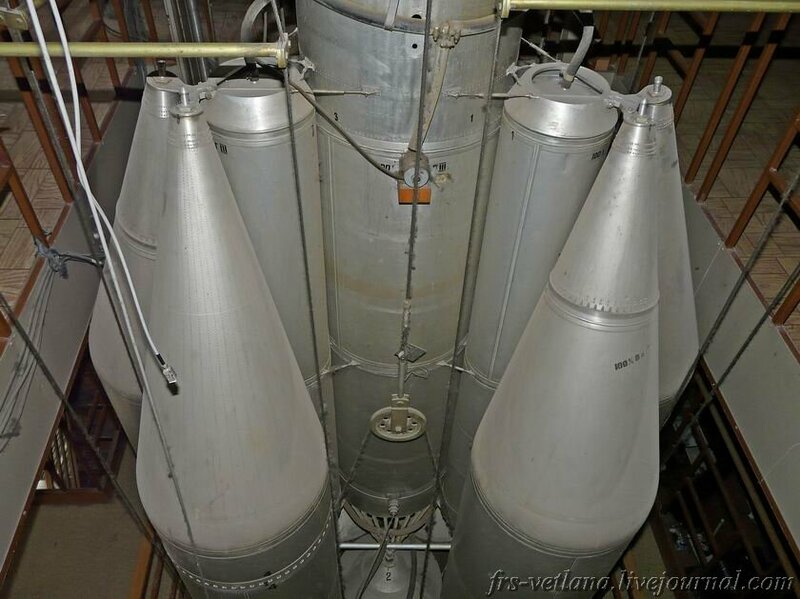 The oxidizer and fuel to the second stage engine begins to flow from the tanks, located on top of the side blocks. This appears to be descibing the way the boosters on the side have more fuel, which is transferred into the central stage, so it is still fully fuelled when the side boosters are dropped, despite having been firing since launch. The side end units end with angled cones. On the right cone there’s a visible mark “maximum oxidant engine center blocks” (100% O n). “n” might mean “intermediate”. Here, the difference is clearly visible in the structure of the upper cone lateral blocks. 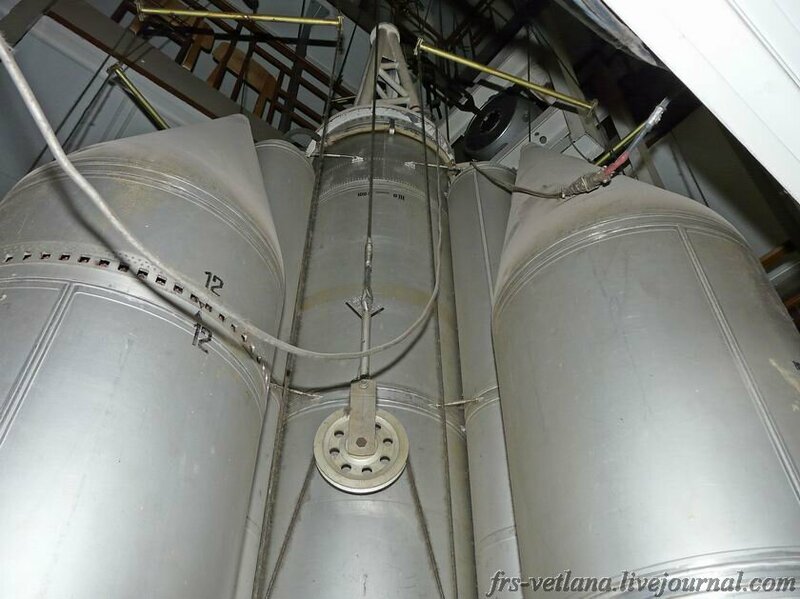 Thee cone, where the oxidizer tank located, has power (?) near the upper edge area of the tank bottom. On the cylindrical part of the block, which is in the center of the picture, you can see the mark for the maximum level of fuel for the center block engines (100% T n). But I note with great interest that only one of each cone pair has a seam halfway up! Is this relevant? I am not clear on what became of this model, and I think the author also does not know. But there was apparently also a second model, and this one was intentionally destroyed. And if you are interested in space history, it’s worth exploring that site fully! Finally, here’s an exploded view of the parts, (my render), in case that helps you understand the layout better. Why did the Soviet manned Lunar program fail? 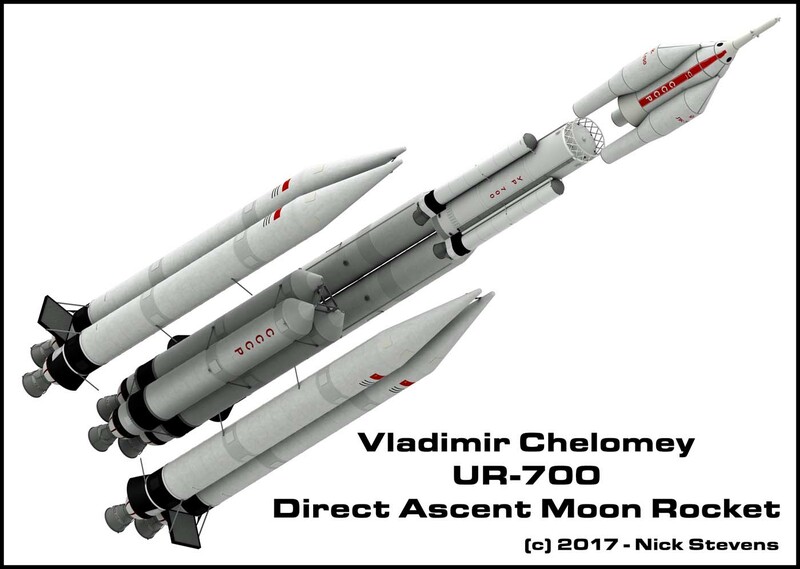 http://novosti-kosmonavtiki.ru/forum/forum13/topic7131/ has five drawings of th e UR-700/LK-700. The first is a side view of the rocket. Thanks to your article I noticed that the top booster tank on the left seems to extend up into the cone. The tank on the right stops right before the cone begins. The second drawing shows the bottom of the rocket and above it the bottom of the 3rd stage. 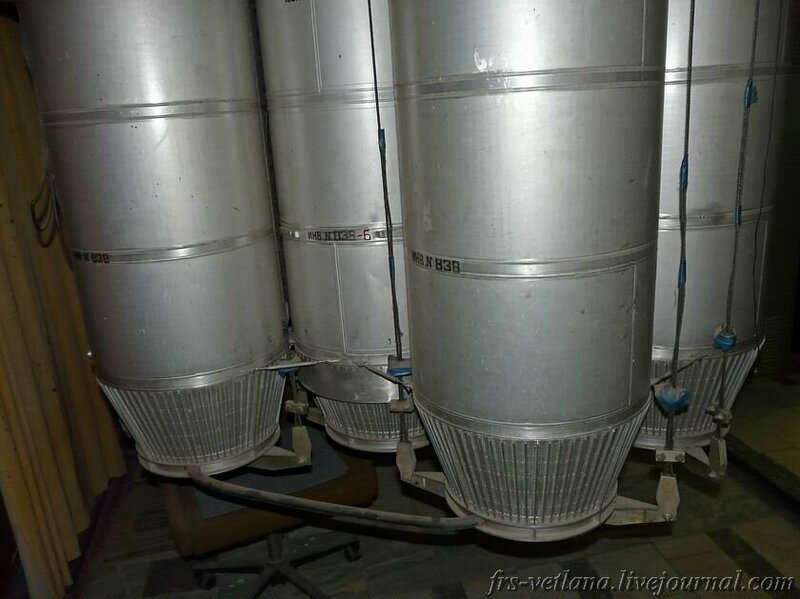 You can see the fan of rods you mentioned in your article, three of them, on the 3rd stage. 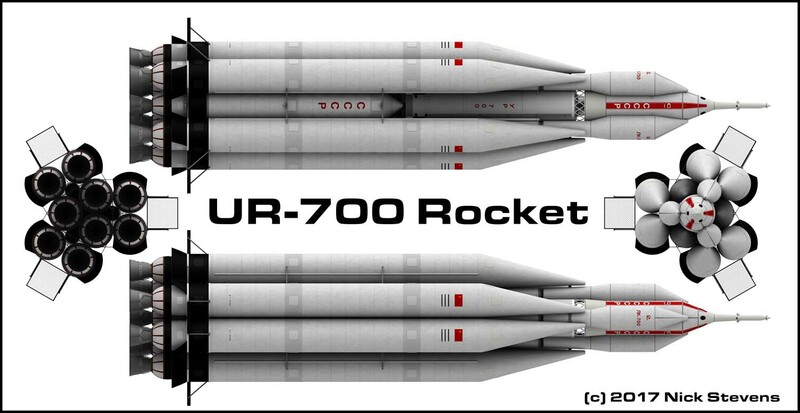 I forgot to mention that the blueprints of the UR-700 at the top of this page also show one booster, the bottom one, with the top tank extendind up into the cone and the other, the top one, with an empty cone.